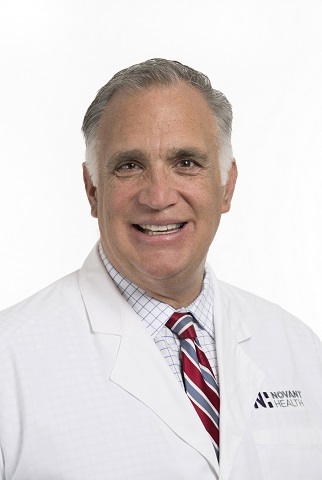 WINSTON-SALEM, N.C. — Novant Health is adding a new physician service line leader, Dr. Vincent J. Pompili, MD, as it continues to expand its heart and vascular capabilities. Pompili will lead heart and vascular services — including cardiac, thoracic and vascular surgery — across the Novant Health system’s four-state area. Pompili joined Novant Health this week and will serve as senior vice president of the Novant Health Heart and Vascular Institute, after an already distinguished career in leadership roles that includes some of the country’s most prestigious academic medical centers. In addition to his administrative role with Novant Health, Pompili will also perform clinical duties in interventional cardiology and structural heart disease at Novant Health Presbyterian Medical Center in Charlotte and Novant Health Forsyth Medical Center in Winston-Salem. Most recently, Pompili served in a similar leadership role at the University of Nebraska Medical Center in Omaha, Nebraska, where he also served as professor of internal medicine and chief of cardiovascular medicine. Before that, he held clinical leadership positions with dual academic appointments at Ohio State University Wexner Medical Center in Columbus, Ohio; University Hospitals Case Medical Center at Case Western Reserve University in Cleveland; and Indiana University Medical Center in Indianapolis. Pompili completed medical school at Case Western Reserve University and did postgraduate training at Johns Hopkins University (internal medicine), University of Michigan (cardiology and molecular and cellular biology) and Mayo Graduate School of Medicine (interventional cardiology). He also served as a senior associate consultant at the Mayo Clinic in Rochester, Minnesota, following his interventional cardiology fellowship. "The work of the Novant Health Heart and Vascular Institute is truly anchored in excellent histories of cardiovascular care in its communities," Pompili said. "As a leader, I am looking forward to being able to both continue practicing and caring for patients, as well as taking the already strong Novant Health Heart and Vascular Institute to the next level, becoming a strong, competitive force in heart and vascular, not just in North Carolina, but beyond." Heart disease accounts for 1 of every 7 deaths in the United States, according to the American Heart Association. That’s why Novant Health is dedicated to the prevention, diagnosis and treatment of heart and vascular conditions and has invested heavily in the growth of both its structural heart disease treatment and minimally invasive procedure offerings.